Boy's dream comes true when people visit his DIY arcade. Married With the Mob: Flash Wedding! A Massachusetts couple use flash mob experience to ring in their nuptials. Is it possible to create a flash mob at 38 thousand feet? 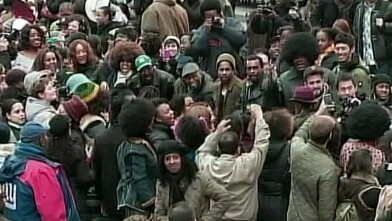 Fans of Don Cornelius gather to celebrate the late host. Now Playing: Married With the Mob: Flash Wedding!